Hindu philosophy began in the period of the Upanishads (900–500 B.C. , 1872–1950, Indian nationalist leader and mystic philosopher. Born in Bengal, he was sent to England and lived there for 14 years, completing his education at Cambridge. Returning to India in 1893, he plunged into the study of Indian languages and culture. , 1931–, Indian mystic and poet. Orphaned at the age of 12, he went to live at the Sri Aurobindo Ashram in S India, where he stayed for the next 20 years, practicing spiritual disciplines. ..... Click the link for more information. , stress that spiritual realization can be attained without the withdrawal from the world characteristic of the older traditions. Yoga is usually practiced under the guidance of a guru, or spiritual guide. , a state of deep absorption in the object of meditation, and the goal of many kinds of yoga. In Buddhism the term refers to any state of one-pointed concentration. , in Hinduism and Buddhism, mystic words used in ritual and meditation. A mantra is believed to be the sound form of reality, having the power to bring into being the reality it represents. There are several types of mantras. ..... Click the link for more information. , a diagram, a deity, or an idea. ..... Click the link for more information. , is based on the physiology of the "subtle body," according to which seven major centers of psychic energy, called chakras, are located along the spinal column, with the kundalini, or "coiled" energy in latent form, located at the base of the spine. When the kundalini is activated by yogic methods, it ascends the spine through the main subtle artery of the sushumna, "opening" each chakra in turn. When the kundalini reaches the topmost chakra in the brain, samadhi is attained. See S. Dasgupta, Yoga as Philosophy and Religion (1924, repr. 1973); I. K. Taimni, The Science of Yoga (1967); E. Wood, Yoga (1967); M. Eliade, Yoga (1969); P. Sinha, Yoga (1970); J. Varenne, Yoga and the Hindu Tradition (1976); R. Love, The Great Oom: The Improbable Birth of Yoga in America (2010); S. Syman, The Subtle Body: The Story of Yoga in America (2010); W. J. Broad, The Science of Yoga (2012). (Sanskrit, literally “joining,” “union,” “concentration,” or “effort”; the term is found in texts going back to oral traditions of the ninth and eighth centuries B.C.). (1) In the broadest sense, a doctrine and method of controlling the human mind and psychophysiology with the aim of achieving higher psychic states. In this sense, yoga is an indispensable part of all the philosophical and religious systems of ancient and medieval India, and it is regarded by these systems as an extremely important means of realizing ethical and religious ideals, of which the highest is the complete liberation of man from the bonds of material existence. The basic ideas of yoga are the parallelism between the microcosm of man’s psychophysiology and the cosmic body of the universe, signifying that all man’s conscious strivings for self-reconstruction find their correspondence in the play of cosmic forces; the gradualness with which man masters the practice of self-change; the possibility of controlling biological bodies and inanimate objects by the mind; and the potential existence and possible development in any living being of a special yogic force, capable of fundamentally altering the natural order of things. The basic concepts and actions of yoga are the subordination of body functions, or yama (control of respiration, temperature, digestion, the heart, circulation, and so on); settling the body into particular fixed postures, or asana; meditation upon a fixed (real or mental) object, bhavana; a state of trance characterized by a sharp change in mental and emotional condition, dhyana; and a state of psychic equilibrium and concentration, in which the mind acquires the characteristics of a homeostatic system (nonreversibility of psychic processes), known as samadhi. The ideas and concepts of yoga served as the basis for the development of a particular system of anatomical and physiological concepts about the circulation of life energy in the organism (kundalini-shakti ) and its concentration in the functionally important centers of the body (chakra). Yoga became especially highly developed by the Tantrist sects and schools of Hinduism and by Mahayana Buddhism. (2)One of the six orthodox systems of Indian idealist philosophy, as summarily expounded in the Yoga-sutra of Patanjali (some time between the second century B.C. and the second century A.D.). Its basic idea is that the individual (purusha) can achieve spiritual liberation by stopping the flow of mental activity and bringing into equilibrium the basic tendencies of individual existence: sattva (serenity), rajas (activity), and tamas (inertia). In the yoga of Patanjali, eight stages of psychic concentration are distinguished, beginning with yama and ending with samadhi. Yogic exertions result in attaining the state of mahasa-madhi, that is, a merging of the contemplator, the object contemplated, and the process of contemplation. Mahasamadhi is considered to be a state of absolute freedom. (3) Yoga understood as a form of consistent meditation (in the Vedanta), rather than as psychophysiological exercises (hatha-yoga). This form of yoga, raja-yoga, gives an intellectual interpretation to all yogic practices, explaining them as special reflex procedures for establishing the practicing individual’s identity with absolute reality. In modern times, there have developed within yoga certain tendencies of classical Hinduist yoga, of which the most prominent representatives are Vivekananda, with his idea of integral yoga (the end of the 19th century), and Yogananda (the 1940’s and 1950’s). A specifically Buddhist yoga became especially developed in Tibet and Japan. The practice of yogic psychophysiological techniques to sustain the viability of the human organism under conditions of extreme scarcity of food and of anomalous rates of the functioning of the nervous, endocrine, and respiratory systems is being studied by contemporary clinical medicine, experimental psychology, and physiology. Ramacharaka. Hatha Yoga. St. Petersburg, 1912. Vivekananda, S. Filosofiia Ioga. Sosnitsa, 1911. Aurobindo. The Synthesis of Yoga.New Jersey, 1950. Coster, G. Yoga and Western Psychology.Oxford, 1949. Dasgupta, S. Yoga As Philosophy and Religion. London, 1924. Eliade, M. Patanjali et le Yoga. Paris, 1962. The Buddhist exercise practice of yoga has a number of benefits, including helping one learn how to control his or her dreams. The two largest religions to originate in southern Asia (the geographical and cultural area that consists of contemporary India, Tibet, Pakistan, and Bangladesh) are Hinduism and Buddhism. Both of these complex religious traditions have been shaped by schools of philosophy that regard the world as we experience it as being in some sense “dreamlike,” illusory or unreal. In terms of this metaphor, it is the goal of the religious life to “wake up” from the illusion of this world. The method by which the “awakening” is accomplished is often conceptualized as some form of yoga. In the West, the widespread popularity of hatha yoga has led the term yoga to be associated with an exotic set of physical exercises. However, in its original southern Asian setting, yoga encompasses a complex variety of practices, all of which aim to release the individual aspirant from the cycle of reincarnation. Despite Hinduism’s traditional discourse about “awakening from the dream,” a form of yoga directed specifically at controlling the dream state does not seem to have developed until it emerged in Tibetan Buddhism (although it may have had a predecessor in Tantric Hinduism). According to tradition, the teacher Marpa introduced six yogas, including the teaching on dreams, in Tibet in the eleventh century. The dream yoga of Tibet involves what has come to be called lucid dreaming in the West—a state in which the dreamer is aware that he or she is dreaming. The lucid dream state is not itself a form of meditation. Rather, the yoga of the dream state is practiced while one is in a lucid dream. During sleep, the yogi (one who practices yoga) exercises control over the landscape of his or her dream, learning that the dream world is transitory, malleable, and a function of consciousness. If the yogi has properly digested the teaching that this world and the dreamworld are both creations of the mind, the yogi’s dream experience helps him or her realize the illusory nature of this world. Learning to control the dream state also prepares the yogi to determine where his or her consciousness goes after death, a major goal of many schools of Tibetan Buddhism. The present study is the first report of a randomized controlled trial of an intervention for Ashtanga Yoga exercise to determine its effects on bone metabolism and BMD responses. Caroline Klebl teaches the Ashtanga Yoga method and has a background in Iyengar Yoga, Tibetan Buddhism, Jungian psychology and Ayurveda. Ashtanga yoga; practice and philosophy; a comprehensive description of the primary series of ashtanga yoga and an authentic explanation of the Yoga sutra of Patanjali. Ashtanga yoga is a moving meditation; a healing art that brings balance to the body, mind and spirit. Ashtanga yoga can be a good cardiovascular exercise if it is done at moderate intensity level for 30 minutes three to four times a week. Yoga, popularly practised today, is a much restricted and limited version of Maharshi Patanjali's Ashtanga yoga, and has almost become synonymous with good health and keep-fit. 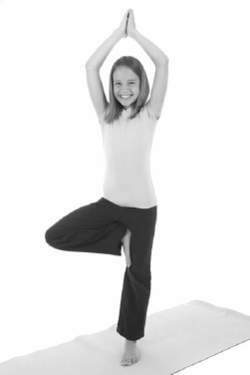 Also try to do one of the following: Pilates, power yoga, hatha yoga, Iyengar yoga or ashtanga yoga. But ashtanga yoga is an individual practice that progresses at one's own pace. Yoga is 1 percent theory and 99 percent practice," says yoga instructor Michelle Bulgatz, quoting the famous Ashtanga yoga master Sri K.
Power Yoga[TM], for example, founded by Beryl Bender Birch as an out-growth of Ashtanga yoga, is a more athletic form found on health club schedules midway between aerobics and traditional moving meditations. Ms Harding, who exports educational yoga media materials including DVDs, CDs, videos,audio tapes and practice manuals for US-based Ashtanga Yoga teacher David Swenson, was able to liaise with the British Consulate regarding distribution of her materials within the country and met a key contact to talk about translation of the products into Polish. Plus, names are flourishing along with the hype: Hatha Yoga, Iyengar Yoga, Power Yoga, Hot Yoga, Ashtanga Yoga, Flow Yoga, Kripalu, Kundalini.